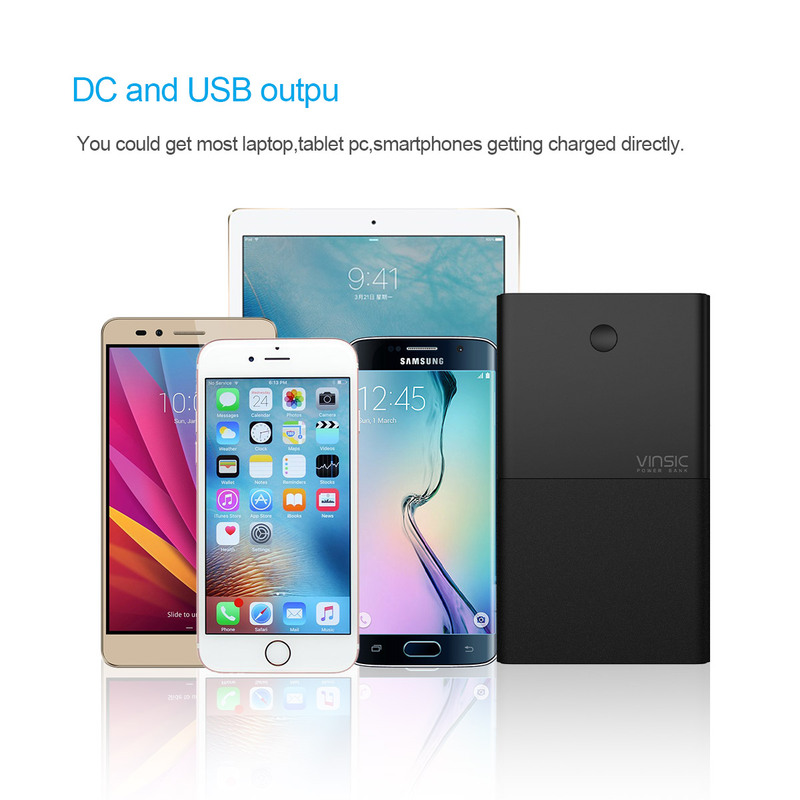 The multi-functional and high capacity Vinsic power bank is compatible with smartphones, tablets, other small devices and especially laptops. 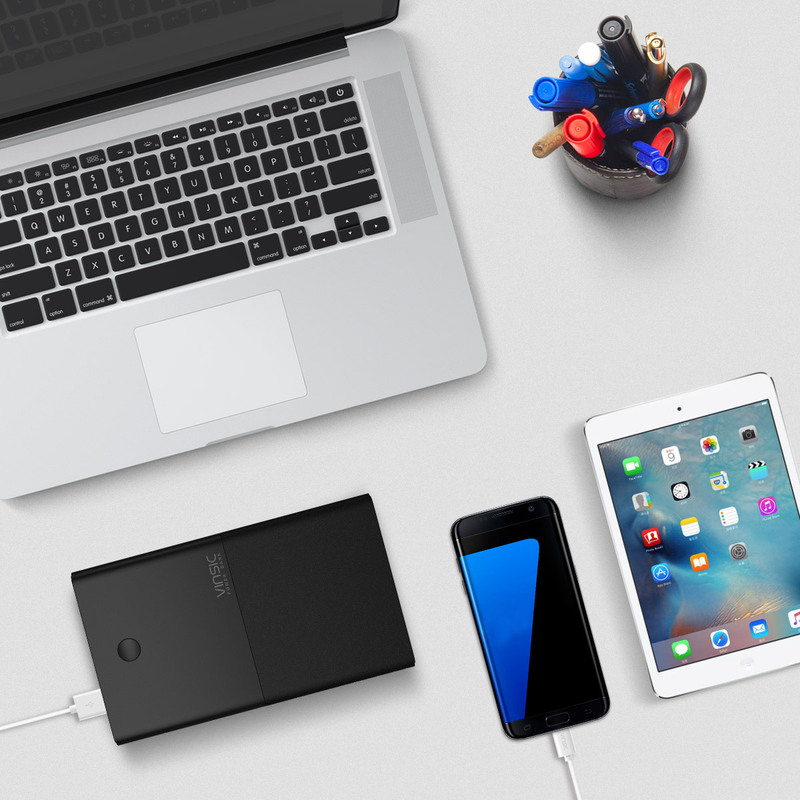 Many power banks with lower voltage or capacity will charge smaller devices easily, however there are few equivalent portable laptop chargers when it comes to efficiency and longevity. The 30,000 mAh Vinsic power bank comes with a DC adaptor charger and USB micro cable, making it easier still to charge the unit from any power outlet- car power sources included. The portable charging device is perfect for people with a busy lifestyle; ensuring peace of mind to those who are constantly on the go. 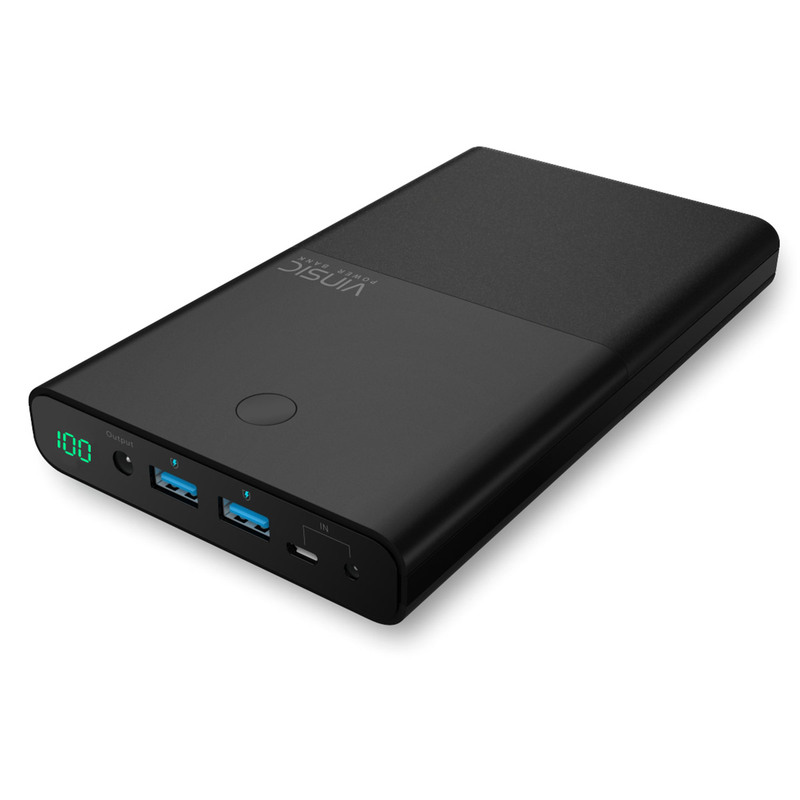 This compact yet powerful unit is one of our most reliable and trusted power banks, with the capacity to charge a standard size laptop 2-3 times before requiring a recharge. The Vinsic power bank will power most major laptop brands, namely Mac books in particular. 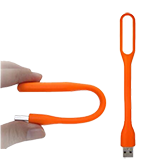 When purchasing the device, an optional adaptor can be selected to ensure compatibility with both Gen 1 (2007-2013 Mac) and Gen 2 (Macs from 2013 onwards). Having the 19v DC output built-in ensures that there is less loss of power, because the majority of laptops charge at 19v the power bank does not have to output any more than is needed. Unlike power banks that have a 240v inverter built-in these seem like a great idea and are if your laptop or device is not compatible with a DC cord, the disadvantage of these are that the power bank has to work a lot harder to get the power outage up to 240v just to run through a switching power supply back down to 19v there is a lot of power lost in this process and your power bank will run out a lot faster than if it just had to get to 19v output. This power bank is perfect in a world where we are forever chasing power this little beauty can fit easily in your backpack or bag and packs enough juice to power anything you can think of. From your iPhone to your MacBook this thing can do it all. There is little on the market that provides as much flexibility as this power bank. Having a power bank is becoming an essential item for travelers, campers or even day to day users, so why not get a power bank that can do the lot instead of a one for your phone another for your tablet and another for your laptop. With so many fittings that come included with the power bank means you will not have to stress to find out if these will fit, our guide explains exactly what they will charge and for how long. Just simply take what you need and leave the rest behind. Buying Guides, User Guides. permalink.